hey just wanted to say congrats! looks like you had fun, beautiful pictures as well! i love looking at your blog seeing these photos, tennessee is on my to do list. not to sure when though busy with school in all. cant hardly find time just to make it up to the white mountians. one of these days, no fishing this week, had to visit family in southern az. Wow - looks like a good day indeed. 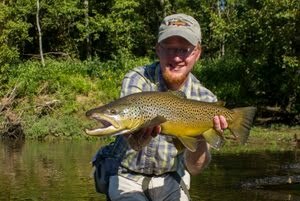 Great browns, great pictures. Oh- great rainbows,too! 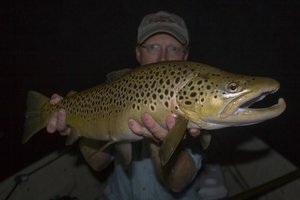 :) I just got back from catching a mess of browns and they caught my eye first! Really beautiful colors on those fish! 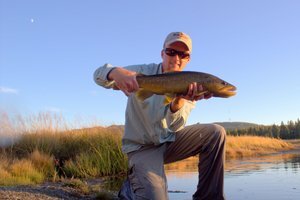 Best fly fishing blog out there. 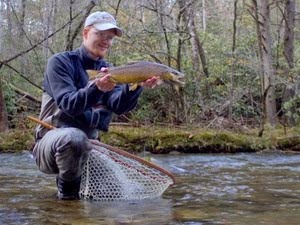 Yeah man, tailwater fishing can be one of the most productive places to fish this time of year. 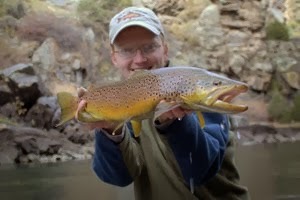 I know I will be up in the mountains this winter...Winter is the best time to fly fish if you ask me.